Note: There is a small chance (about 1%) that the above mice give no loot on a successive hunt. ** Tokens can also be obtained by purchasing the Token Pack in Valour -> King’s Arms’ General Store. (3 KC for Pack of 6 Tokens). If you have the spare King’s Credit you can obtain them this way, which speed up the process. Note: After you had make these cheese once, the next time you come back to craft more of these cheese, simply go to your Recipe Book under Crafting. Head over to Mediation Room and catch one of the follow type of Master. Your main objective is to obtain the 3 Shards from them. If your cheeses ran out but still haven’t caught the master, go back to Step 1 and hunt more tokens. Note: Stop using the special cheese once you had obtained 1 Shard from each masters. Using the 3 Shards as recipes and combine them into the Master’s Seal through crafting. * Droid Parts are from Bazaar, if you haven’t got it go back and get it now. After you had reach all the main goals revisit Dojo. Use up all your Susheese, Glutter and Combat to collect as much Shards as possible from the 3 Masters mice. After collecting the shards use the follow recipe to craft as many Rumble cheese as possible. After you had made enough Rumble cheese, travel to Pinnacle Chamber. 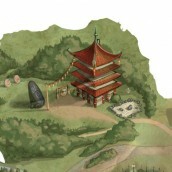 Now arm your Rumble cheese and obtain Onyx Stones from Master of the Dojo Mouse. If you have at least 1 Onyx Stone, move to Bazaar or continue on the optional steps below. If you have extra Onyx Stone and you are willing to accept a new challenge, you can attempt to beat up the Dojo Sensei. Note: The 2nd recipe will create an Unstable Curd that stores in your inventory under the Special section. There is an option to poke it, which will allows it to either yield a good quantity of Onyx Gorgonzola or some other cheese. This method is less reliable, but more economical and the other cheese could be useful. When you have Onyx Gorgonzola ready, arm it and GOOD LUCK! Don’t feel too bad if you fail, cause it’s one of the toughest evil mouse. If you are successful, you will get a good reward of gold and it may drop the Onyx Mallet Blueprints. Note: Make sure you leave 1 Onyx Stone left for later stage. After you are done move to Bazaar.